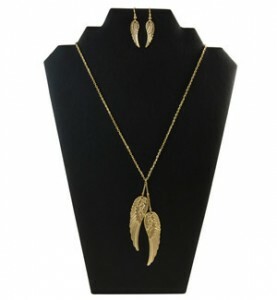 Look positively angelic in our gold angel wings necklace and earrings set. It combines two of our bestselling accessories. With this ethereal combo you can't lose.